← 3D printer uses metal – prints a working gun! In 1999 a novel play was created dramatizing the last minutes of airplane flights which resulted in a crash. This has now been re-imagined as a 3D movie. I’m not sure why you would want 3D for this, as it’s not exactly a lush cinematic event, but perhaps it helps sell DVDs. As a pilot myself, there is a particular fascination reviewing the events and things that were said in the cockpit prior to a disaster. We like to hope that WE wouldn’t have made the key decisions which lead to a bad result, but in the heat of the moment, would we or not? 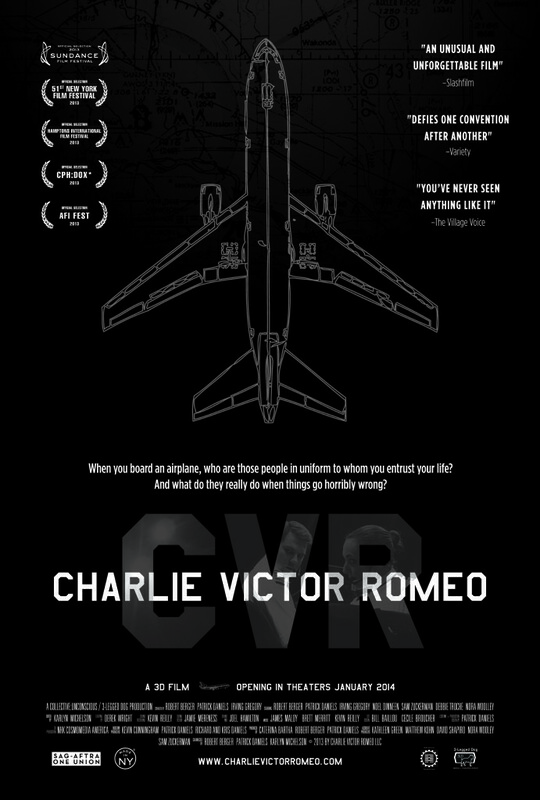 The movie is called “Charlie Victor Romeo” because CVT is the industry acronym for the famous “black box”, or “Cockpit Voice Recorder” – the source for the dialog re-enacted by the actors. This has also been used as material for “Cockpit Resource Management” training which airline pilots must periodically undergo. But even to a lay person who doesn’t necessarily understand all of the pilot jargon, it’s still a morbidly fascinating look at what happened and why. This is now in the Netflix database, but it not available for streaming at the date of this writing. The film is currently screening in New York and Los Angeles. This is probably not a movie for everybody, but if you find it hard to look away from a train wreck, or car crash on the freeway, this might be right up your alley!